In this age, it is hard to operate a business that does not accept electronic payments. When buying items on the web or giving out your card to the grocery store, you might understand the complexity of the processes that store had to get involved in before they were allowed to accept electronic payments. Banks that facilitate these transactions do not view all businesses equally as they receive the payments and then allow the stores to collect their money later. This way, payment processors will get losses if the transactions have issues such as chargebacks and this introduces the name high risk businesses. When you are profiled as a high-risk business and get a merchant account from Highrisk.Solutions, understand that these entities are risking a lot and they are actually doing you a favor of allowing you to process payments electronically. Do not let this overwhelm you to the point where you forget about keeping your service provider happy. The rule is very simple; If you have a stable payment processor, you will be able to facilitate your payments comfortably for a long time. One way of keeping your provider happy is by being transparent with them at all times. When applying for the merchant account for high risk businesses, you will be required to give a lot of information, some of which might reduce your chances of getting the account. However, do not be tempted to conceal this information as it could affect your business operations once your processor uncovers it. All your financial records, tax documents, and licenses should be accurate, and you need to note that your items will be scrutinized more thoroughly compared to the ordinary businesses. It has been mentioned that payment processors are doing you a favor by giving you a merchant account and you need to accept the lower than normal processing volumes for the first couple months. Ensure that you abide by this restriction and do not fall into the temptation of pushing for higher volumes. The main aim during these first few months is to gain the trust of the processor and eventually, the restriction will be lifted, and you will be free to continue selling your normal volumes. One of the risks that payment processors do not like are chargebacks. Most of the high-risk businesses are regarded so due to the number of chargebacks they receive. You need to come up with a strategy of reducing your chargebacks rates to a very minimal value for you to maintain a good relationship with your provider. Keep in mind that all providers have varying policies on chargebacks and you should find out what your provider accepts as the minimum chargeback rate for your business. One might argue that keeping chargebacks low can be a great challenge since these cases are normal in any business and one might not have a lot of control over it. Well, regardless of how much you invest in reducing them, you cannot be guaranteed of zero chargebacks, and all you have to do is to deal with them like a professional. One good thing is that most merchant service providers will give you a chargeback management system when they issue you with a merchant account and you need to be aware of how to use this tool. High risk providers understand that chargebacks are inevitable and have devised ways to help merchants deal with them in the best way possible. Invest in chargeback solution services so that when they arise, you can deal with them promptly. It also helps to invest in customer service as most of the cases of chargebacks arise due to clerical errors. Customer service will help to deal with the issues brought by customers prudently and avoid instances of them initiating chargebacks. If you are running an online venture, try and work on your image and reputation. Having scared customers is a bad thing, and you need to ensure them that what you are doing is legitimate. Prove to everyone who is watching that you are the best option for them and they should not be skeptical of buying from you. A good way of starting off is by coming up with a professional and beautiful website. Customers get the first impression when they see your site, and this influences their decision in no small way. Do not work on the aesthetics only as the functional part of the site is a crucial factor. Optimize your website and make it easy for customers to use it both for mobile and desktop devices. Market your business on social media and keep your clients engaged. This way, you will command a strong online reputation, and your payment service provider will start to get the impression that you are legitimate. This is logical since most of the high-risk businesses do not have vocal support and strong reputations thus when you command one, the banks will start viewing you differently. 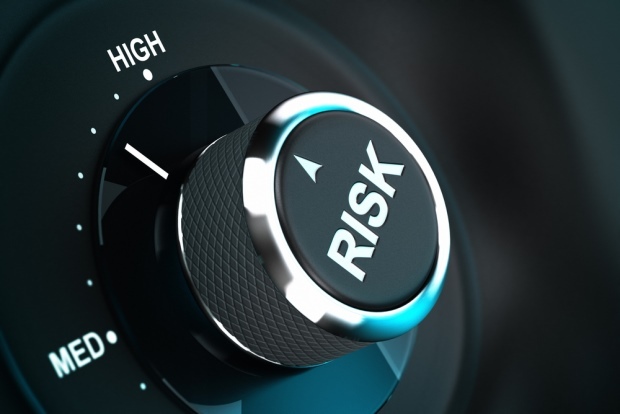 Operating a high-risk business is a tough thing in this age, and you need to work on some of the simple things that we neglect but end up helping our business gain the trust of the banks. When profiling your business, ensure that you do it with the aim of removing the notion by the banks and payment providers that what you are doing is not legitimate.